2000-2001 CD#50.3 Report to Council, ALA Annual Conference 2001, from the Committee on Education, Mary Y. Moore, Chair. Post-Masters Certification: A Proposal to Establish the ALA Institute for Professional Practice. The focus is on certification in specializations beyond the first professional degree, as recognized by (not necessarily accredited by) the ALA. The initial program will be the Certified Public Library Administrator program, developed by PLA, LAMA and ASCLA. Standards for professional practice (the body of knowledge and required experience) may be established by the appropriate ALA division (ALA Bylaws Article VI) or, where no divisional jurisdiction exists, by the ALA Council. Standards must be fully documented. These standards would be established as standards for certification by the ALA/APA. Continuing education programs and other ancillary products (e.g. study guides) may be provided by ALA and its divisions and/or by other organizations (e.g. ALA Chapters, AASL Affiliates, LIS programs, other university programs, independent trainers or other organizations). Initial certification will be based on demonstrated commitment to ongoing professional development and successful completion of a professionally-validated examination covering the particular specialization. The examination process will be available in geographically dispersed locations. Certification will be for a three-year period, with re-certification based on demonstrated continuing professional development (e.g. continuing education courses), not re-examination. All applications for certification and re-certification will be made to the ALA/APA. Both ALA members and non-members may participate in the certification program; membership in ALA (or any other organization) may not be required for certification. Differential fees may be charged to members and non-members for courses and ancillary materials. Statistics will be gathered by the ALA/APA as part of the application and certification process and used in program assessment. to report to the ALA Council on development of standards for professional practice. Outsourcing of most of the technical aspects of certification by the ALA/APA is proposed to minimize startup time and cost. Technical aspects would include candidate record maintenance (enrollment, review, certification, re-certification), test administration (including scheduling, training of examination administrators), and marketing. This does not preclude the ALA/APA from developing such capacity internally should that be programmatically and/or economically desirable. If technical aspects are outsourced, day-to-day oversight should be maintained by ALA/APA staff. Coursework and ancillary products may be marketed by ALA and its divisions. Such marketing may indicate that the coursework and ancillary products are designed provide the knowledge necessary to be certified by the ALA/APA in that specialization (e.g. the CPLA program). The certification program itself must be marketed by the ALA/APA – which may also market the coursework and ancillary products through appropriate arrangement with ALA and its divisions – or other organizations offering related coursework and ancillary products. PLA/LAMA/ASCLA, through a joint CPLA, have developed coursework to support the CPLA program. Initial courses will be offered in FY2003. The Better Salaries TF has raised the issue of certifying Library Technical Assistants. Substantial background work, including identification of many issues and data gathering, has been accomplished by two task forces: the Task Force on the Status of Librarians (Tom Wilding, chair), and the Better Salaries Task Force (Patricia Glass Schuman, chair). The Status TF has completed its work and a final report will be available soon. The Better Salaries TF will continue through FY03. The Better Salaries TF has developed a plan a “toolkit” and advocacy training program to enable librarians and other library workers to advocate more effectively for better salaries and pay equity. Statement of scope for ALA/APA. What work will the ALA/APA do – and what will it not do? Establishment of 3-5 year goals and definition of key strategies. ALA and ALA/APA will have completely interlocked governance structures. The ALA/APA Council and the ALA/APA Executive Board must each meet at least once annually. The ALA/APA Executive Board must establish a Certification Review Committee; the Board may establish other committees, a majority of whose members must be members of the ALA.
ALA legal counsel will prepare Articles of Incorporation for the ALA/APA. Schedule and process for meetings. How will “boundary” issues be addressed and determined? Are there current ALA committees which should be disestablished within ALA and established with ALA/APA – e.g. Pay Equity Committee – to enable a broader scope of action. It is presently assumed that the primary staff support for the ALA/APA will be provided through the present Office for Human Resource Development and Recruitment , which will largely be moved from ALA to ALA/APA (except for scholarship functions, which will remain with ALA). What does this mean for the HRDR Advisory Committee? *Note: Lorelle Swader is the staff liaison for both Pay Equity and COSWL. Final Report, Status of Librarians: Final Report. The approved ALA/APA Bylaws are silent on the issue of members. The present assumption is that the ALA/APA is a service-entity, providing products and services to ALA members which the ALA itself cannot offer. Members of both the Status Task Force and Salaries Task Force have suggested that ALA’s “partnership” with the ALA/APA could produce a significant increase in ALA membership. How should that be explored? What are the benefits which ALA members should expect as a result of ALA’s establishment of ALA/APA? This also relates to resource/funding. In some cases (e.g. the American Psychological Association/ALA Practice “partners”) a “surcharge” is paid by certain categories of members (e.g. clinical members in the APA Practice case) and provides a funding base for the (c)6 entity. Would that be desirable/feasible in the ALA-ALA/APA situation? There may be overlaps between “membership” issues and “external relations” issues. May the ALA/APA affiliate groups with whom ALA itself would not establish affiliate relationships – e.g. unions, human resources organizations? Is this a transactional relationship (e.g. purchase of a package of services from ALA/APA) or a membership relationship? Issues noted above may, in fact, be initially discussed/further defined during the transition period, then referred to the appropriate ongoing group. How do we build on the 2002 presidential initiative (Campaign for America’s Librarians)? While ALA (through HRDR) belongs to a number of national human resources associations (e.g. SHRM) which lobby directly or through coalitions for human resources concerns, ALA has not involved itself in coalitions lobbying in such areas as labor laws, retirement laws and other hr-related issues. Should the ALA/APA become directly involved – through membership in coalitions – in such lobbying in these areas? 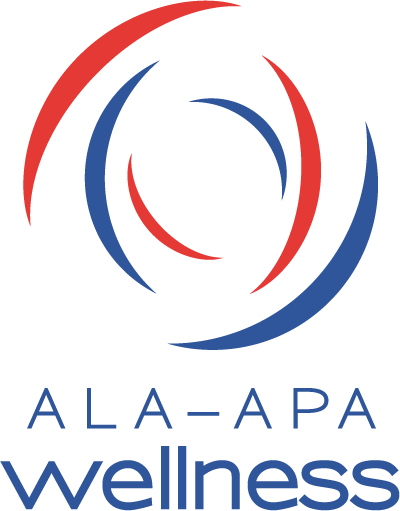 The primary ALA/APA support will be provided by transfer of up the present Office for Human Resource Development & Recruitment to ALA/APA – except for scholarship support, which will remain in ALA.
On an interim basis, executive direction will be provided by transfer of a portion of the time of the Senior Associate Executive Director. The portion of the ALA Council and ALA Board costs attributable to ALA/APA governance must be paid by the ALA/APA. A substantial portion of the 2002 presidential initiative cost will come from the ALA/APA. Some Communications Department (including PIO) resources must be provided by ALA/APA. Overhead costs – e.g. rent, utilities, IT support, HR support – will be paid by an overhead assessment to the ALA/APA. A present ALA revenue stream – and the expenses associated with generating that revenue will be ended in ALA and reestablished in ALA/APA to cover the above ALA/APA expenses. Excess revenues, after all ALA/APA operating costs and revenue generation costs are covered, may be returned to ALA. Preliminary internal discussions and BARC discussions have taken place. What level of growth do we want in the ALA/APA? What funding strategies might achieve such growth (without harm to ALA)?